Jonathan Aberman is the founder of TandemNSI and managing director at Amplifier Ventures. The government is more creative than we give it credit for. 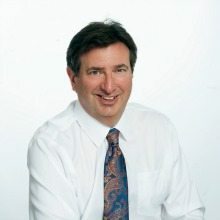 And while, according to Jonathan Aberman, founder of TandemNSI and managing director at Amplifier Ventures, it’s been that way for a while, current federal contracting rules and institutional conservatism are hampering the government’s ability to effect fast-moving and entrepreneurial technology as efficiently as it should. Aberman told us in a recent interview he’s concerned that slowing technology innovation will threaten the country’s national and economic security. 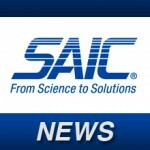 At TandemNSI he works with universities and government agencies to create and connect emerging technology companies with federally-funded advanced technology projects to benefit the national security establishment. The hope is that commercializing technology for the national security agencies will drive U.S. economic growth and security. Aberman, who also co-hosts Left Jab Radio on SiriusXM, has launched 16 startups since 2005 and said he holds a special place in his heart for each of the distinct organizations. Read on for his insight as to how bringing nontraditional performers into the national security tent will counter the problem. WashingtonExec: Please tell me about your background. How did you catch the “entrepreneurship” bug? Jonathan Aberman: I grew up in a family of entrepreneurs. My parents both owned their own businesses. My mom owned an art gallery and my father owned a commercial fishery. Both of their parents were small business owners too. So, for me, owning a business and being entrepreneurial was the most natural state of being. When I went out into the world I started out working as a professional advisor – first as an investment banker, and eventually as a corporate/venture lawyer. That’s how I originally came to DC, working as the managing partner of two different Silicon Valley based lawfirms’ DC offices (first Pillsbury Winthrop and then Fenwick & West). In 2004 it just hit me – I spent my day helping other people start businesses, and I really wanted to do it myself. It was just more who I was fundamentally. And, that is how I came to start Amplifier Ventures. Amplifier Ventures has two lines of business. The first is focused on helping experienced entrepreneurs start technology businesses, as a seed investor and tailored accelerator. The second line, which is taking a lot of my time right now, is a strategic consulting business that provides insight and guidance on technology entrepreneurship models and development. We’ve worked with universities (George Mason for instance), states and municipalities (the TandemNSI program for instance) as well as national security agencies (DARPA or DOD Labs as two recent examples). So, you can see, I’m pretty busy these days! WashingtonExec: Can you tell us about the two most interesting 16 tech startups you’ve launched since 2005? Jonathan Aberman: This question is like asking a parent which child he likes most. I like them all and the people involved. You have to, in order to do what I do. But, more seriously, what has struck me is how if you work with experienced people they are resourceful and committed even when times are tough. What has been most interesting to me is to learn that venture capital is a slow and steady process, rather than the sprint it is portrayed by in the media. We’ve got some great companies in the portfolio that are quietly building value, but it takes years. Specific companies? E-Chromic Technologies, a company we started with technology licensed from the Department of Energy, is developing a lithium-based film that darkens windows when a small electric charge is introduced. It could dramatically and positively change energy consumption in the United States and create whole new applications for glass in things like windows, computer screens, automobile windshields and eyeglasses. It’s a great example of technology transfer of federally-funded technology. I also really like what Bright Hub is doing with its new College Factual product. It has taken federally available Big Data on higher education, and applied analytics and self-evaluation tools to create an information product that will let veterans, high school students and others make better decisions about which college or university to attend. As you know, this is a big deal with the costs of higher education being so large. People just need to make better decisions based upon what is best for them – rather than guessing based upon the general information in a ranking service like US News & World Report. College Factual is commencing its national and international roll out this fall, starting to with major media partners and parts of the federal government. It’s another great example of how private entrepreneurs can work with the federal government to create new startup businesses. And, if I can sneak a third one in…. I like what ArcheMedX is doing now. It’s an online educational platform for doctor continuing education that has a growing group of marque customers. I like to know that my doctor is up to date, don’t you? WashingtonExec: What do you consider to be the most pressing of the U.S.’s critical technology challenges? Jonathan Aberman: We have a growing national security crisis because there is a widening gap in the rapidity and quality of innovation activity that exist on the one hand in our national security agencies and on the other with those not currently involved in the national security establishment (people referred to as “non traditional performers” in national security terms). The traditional model of meeting innovation challenges – build from scratch programs for example – are just not suitable for dealing with the accelerating rate of change in technology innovation and discovery or the new realities of federal and state budgetary constraints. Unless we find a way to rebuild the reinforcing cycle of getting our best innovators to bring technology into national security and bring other technologies out, we will lose the benefit of the largest driver of our economic and national security – the technology needs of our national security agencies. Make no mistake, most of the industries from which we derive our national wealth came out of R&D and requirements led by national security agencies. So, fixing this is a big deal. WashingtonExec: How do industry-government partnerships solve these challenges? Examples? Jonathan Aberman: Well, we just had an anniversary of the First Moon landing – you probably couldn’t find a better example than the Apollo Program for how national security agencies and industry worked together to solve a big problem – sending people to the moon and getting them back safely. We kid around about Tang sometimes, but lots of the things we take for granted today in technology came out of the technical challenges and requirements of the space programs. More recent examples I am following closely are things like the TALOS Program (sometimes known as the “Iron Man” suit) where industry and government has come together in a “technology scrum” to create prototypes for innovations in mobility for the soldier (and ultimately the private individual), rapid innovation programs like DARPA’s Cyber Fast Track that fostered 120+ startups and entrepreneurial companies to develop cyber innovations on a rapid basis (and is a template for a number of upcoming programs by national security agencies) and at the risk of being a bit self-serving, TandemNSI, the public private partnership I am running to connect nontraditional performers with national security agency program managers and opportunities. I talk about many of these examples, and others, in a white paper TandemNSI just released called “Building a Bigger Tent for Innovators: The Government Is More Creative Than You Think.” You can go to the TandemNSI website or download it here. WashingtonExec: You mention in your white paper that federal contracting rules, institutional conservatism and government secrecy requirements are currently constraining the partnership between non-traditional performers and government. What’s key to surpassing those challenges? Examples? Jonathan Aberman: Federal Acquisition Rules and the Defense Federal Acquisition Rules are well meaning, but they are rules that are designed to “prevent” fraud and abuse, rather than to create an optimal process for allowing nontraditional or even traditional performers to work efficiency in innovation discovery and creation. Add on top of that the personal liabilities that contract officers face if they get things wrong in interpreting these rules, and you can appreciate why the system is inherently conservative. And, of course, there are many other constraints – secrecy, a desire for a “zero defect” product, budgetary imperatives that encourage large programs, to name a few – and you create a structure that is pretty far away from amenable to the way that nontraditional performers like to do business. In the white paper I mentioned above, I share a somewhat fictional “Venus and Mars” conversation between a government program manager and a nontraditional performer. It is sadly close to reality. Based upon the work that we have been doing with TandemNSI, as well as my earlier work with the various national security agencies, the key is to provide leadership. The reality is that there are many mechanisms available both within and outside the FAR/DFAR to engage with nontraditional performers. What is necessary (and starting to occur more frequently) is for the people who are willing to take new approaches to be supported by their bosses, and also by the broader community. What is interesting to me is that we may be at a time where the best way to make change is to connect individuals inside and outside national security in flexible and dynamic ways – basically create “communities of interest.” We need to make innovating for national security as engaging and interesting as doing a social media startup and selling it to Google. With respect to specific examples, take a look at the current DARPA Cyber Challenge, as well as other DARPA challenges in robotics, Cyber Fast Track, NASA’s use of prize competitions, the Army’s use of Other Transaction Authorization Consortia, DIA’s and NGA’s new approaches to soliciting technology solutions by creating technology sandboxes. There are others too. As I say in the white paper, there is more going on than most people think. WashingtonExec: What are the most important takeaways from your white paper? Jonathan Aberman: There are three main points. The first is that we are facing a growing and immediate technology innovation challenge that is threatening our national and economic security. To meet these challenges we must bring nontraditional performers into the national security tent. The second is that the templates to achieve greater contact and engagement exist due to the work of a growing group of committed and forward thinking national security program managers and contract officers. We don’t need to do further investigation of models – the models exist and can be more widely applied. The last is that it is time for leadership and execution. I lay out some specific recommendations for what leadership means in the white paper, and hope that it informs conversations here in DC and elsewhere. This is a big challenge, but as I have learned from my work at Amplifier Ventures, big challenges also create big opportunities for entrepreneurs to do the things that they most like to do: create something new that is impactful, rewarding and exciting.